A major new study for the European Commission has identified a range of new vehicle safety technologies that are suitable for mandatory fitting as part of a review of EU vehicle safety legislation. 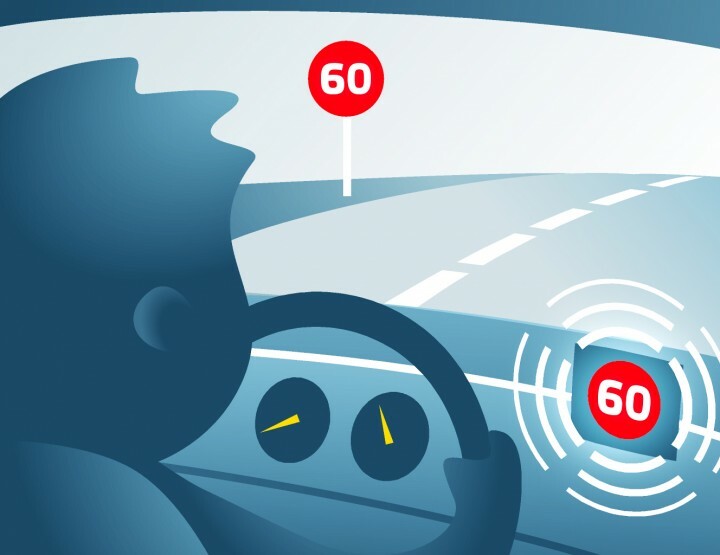 The report, carried out by consultants TRL, names technologies including Intelligent Speed Assistance (ISA), Automated Emergency Braking (AEB) and seat belt reminder systems in passenger seats as ‘feasible in terms of the technology required’, already available on the market and offering a positive benefit-cost ratio. Plans already agreed by the EU in principle, for a safer front-end design for HGVs to improve direct vision and the safety of vulnerable road users, also receive a ‘green light’ from the consultants. The report sets the stage for a European Commission communication on the review of the ‘General Safety Regulation’ (GSR), expected later this year, with a legislative proposal to follow. The GSR was last updated in 2009, though many of its requirements such as mandatory fitting of Electronic Stability Control (ESC) only came into force last year. Many of the technologies highlighted as suitable for legislation have been advocated by ETSC for a number of years, notably ISA, which could, in an overridable form, cut road deaths by 20%. Within days of the report’s publication, Ford announced that its new S-Max model will be offered with an ISA system. The company is promoting the feature as spelling ‘the end for speeding tickets’. Meanwhile Nissan has said that it will include Automated Emergency Braking as a standard feature on all models sold in Japan from later this year. “This report shows that technologies like intelligent speed assistance and automated emergency braking are ready to go mainstream and the benefits would outweigh the costs. It’s crucial that the European Commission does the right thing and ensures they become standard features, not an optional extra for the lucky few.